Students Need More Than a Great Teacher. They Need a Great School. This summer, the Mt. 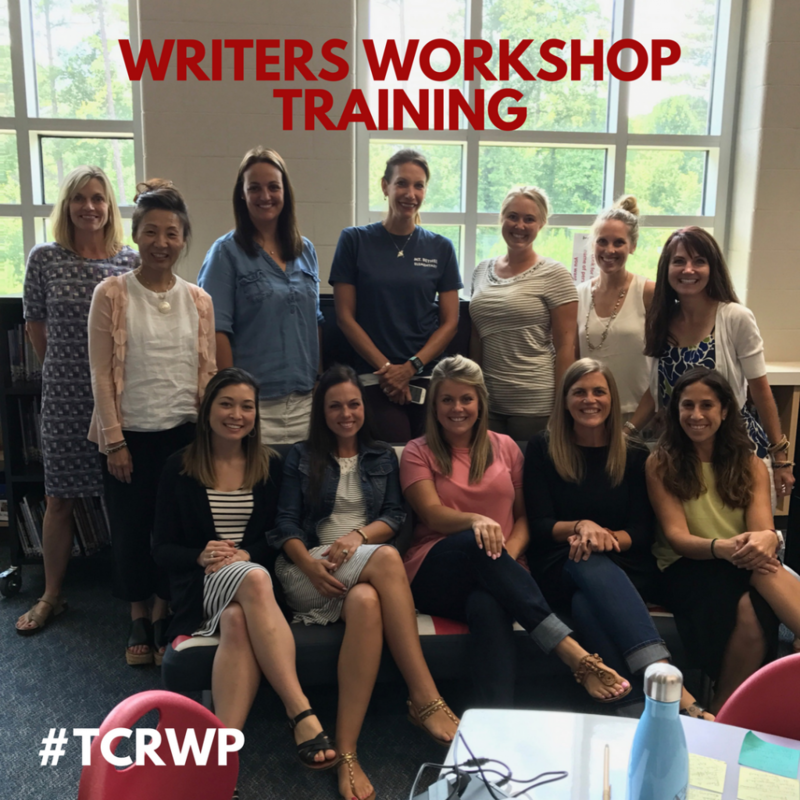 Bethel Administration was fortunate to attend a week-long professional learning course regarding the implementation of Writer’s Workshop held right here in Cobb by Columbia University’s Teachers College and funded by our Foundation. Alongside many of our teachers, we learned about creating the optimal environment for teaching writing, discovered multiple strategies, experienced integration of reading and writing, discussed assessments/learning progressions, fine-tuned how to conduct an individual conference, and more. This was great information and really set the stage for our teachers to launch writing as a priority this year, and set the stage for our administration to support teachers of writing. STUDENTS NEED MORE THAN A GREAT TEACHER. THEY NEED A GREAT SCHOOL. While a seemingly obvious statement, it is a statement that summarizes the impact of our Foundation’s exemplary support of our staff and students to not only enhance teachers’ professional knowledge, but to ensure that globally, Mt. Bethel continues to ENRICH. EMPOWER. EXCEL. and move forward together as a school community providing an education above and beyond the grade level standards. Over the last four years, we have been on a journey to implement Reader’s and Writer’s Workshop (common literacy practices in English Language Arts) through the provision of training and materials funded by our Foundation. Common structure to the instructional block with a mini-lesson, independent work time, differentiated individual or small group work to refine and extend thinking, independent practice, closure. This framework allows students to maximize time learning as the format is always the same, but the message and time spent independently changes as they grow as readers/writers. Explicit scope and sequence of skills. Guaranteed differentiation for all learners. Application of content in a real-world methodology. Is there any evidence to suggest that this practice is working? Longitudinal Standardized Test Data supports measurable student growth at Mt. Bethel since we began our literacy initiatives. 88.4% of Mt. Bethel third graders in 2015 scored above average on the complete composite of the Iowa Assessments. This same group had 90.7% score above average in 2017 as fifth graders. 87.8% of third graders in 2015 scored above grade cutoffs for reading Lexile scores on the Georgia Milestones End of Grade Assessment. This same group had 92.7% score above grade cutoffs in fourth grade 2016, and 98.5% score above grade cutoffs in fifth grade in 2017. 95% of third graders in 2015 scored in the top three levels on the English Language Arts Assessments on the Georgia Milestones End of Grade Assessment. This same group had 97.4% score in the top three levels in fourth grade in 2016 and 99.5% score within the top three levels in fifth grade. Additionally, we decreased the percentage of students scoring a level 1, and significantly increased the percentage of students scoring a level 4. Notes about growth: showing growth when there is already a high level of achievement/proficiency is difficult. Thank you for your support of our school, our students, our teachers, and our Foundation! Your generosity makes an impact on the most important instruction we can provide in elementary school – teaching students to read, write, and communicate. Literacy and communication impact all other subjects. ENRICH. EMPOWER. EXCEL. It is more than just a vision for our Foundation and Buccaneers. It is our reality. We are able to ensure a GREAT SCHOOL that benefits all of our students! You will receive an email every time my blog is updated!